April 29, and May 4 to 6. 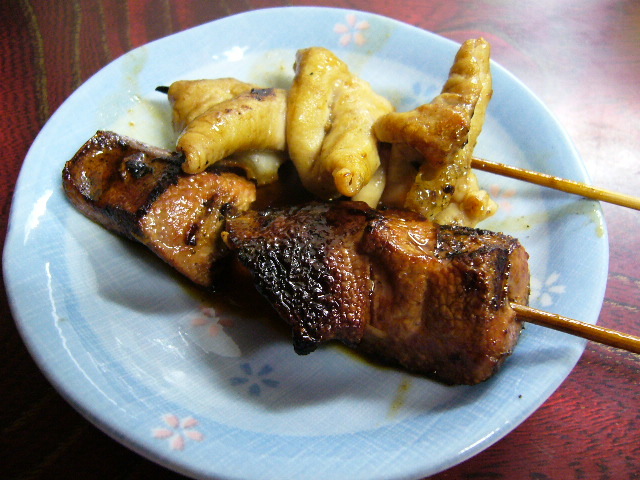 How about with some pork Yakitori? And sitting at a table. And our communication level is very high with Big Smiles. 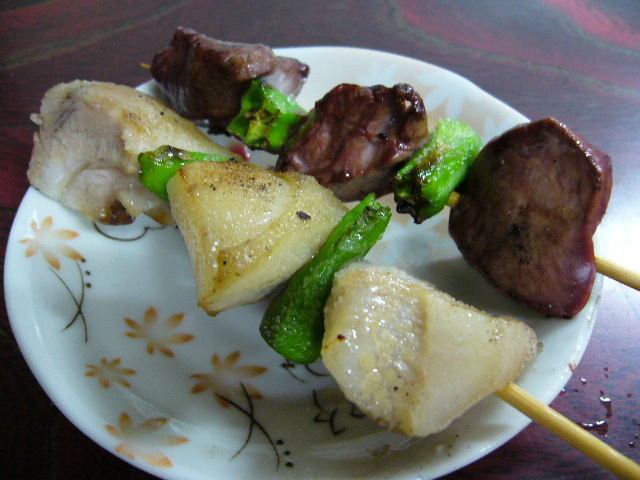 Yakiton is Yakitori style skewered pork. 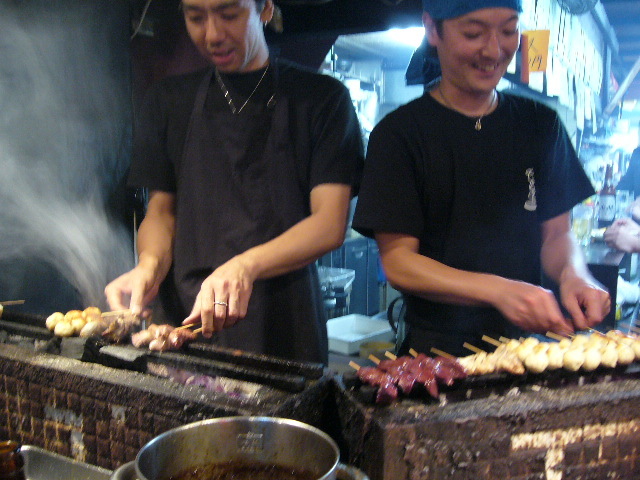 We serve ordinary Yakitori too. In fact, we skewer just about anything. 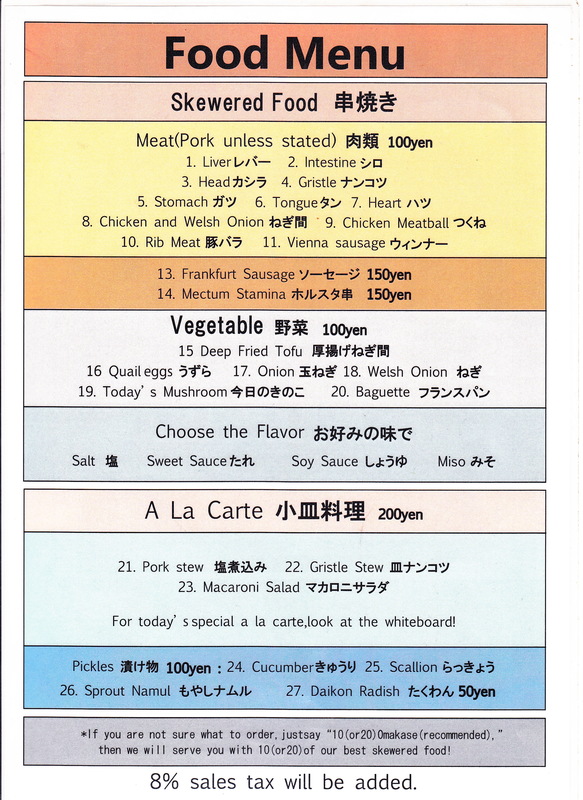 Please check out our food menu for details. Start with tongue and heart. We recommend you to season them with just salt. Liver is liver and Shiro is intestine. 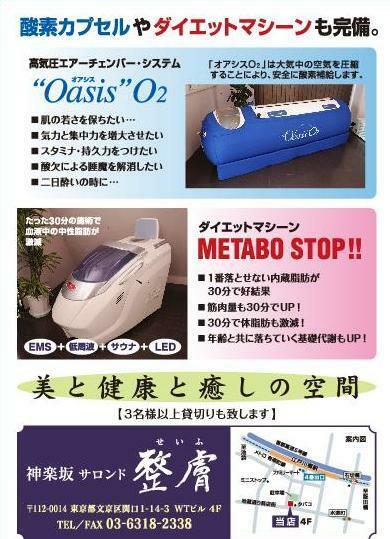 We recommend you to have liver and intestine. Shirojishi is forehead with green paper in between. Akajishi is heart with green paper in between. Good with either salt or Teriyaki Sweet Sauce. 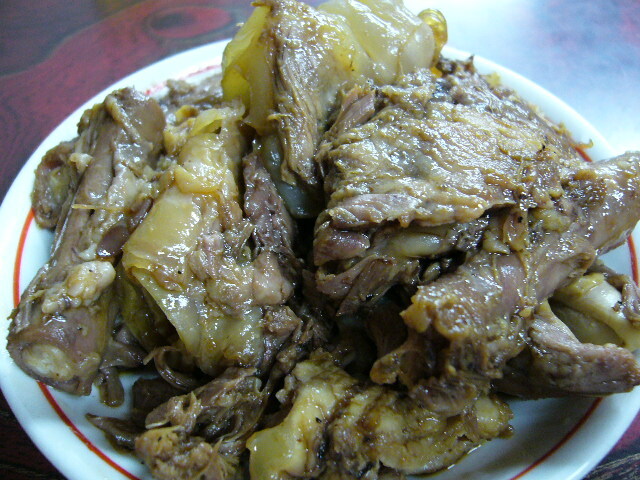 Gatsu Shoyu is stomach with soy sauce flavor. 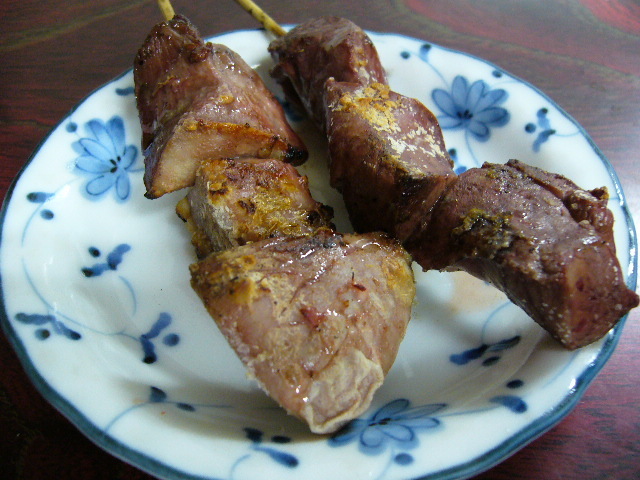 You will be amazed by our soy sauce marinated pork stomach. The aroma of soy sauce is so nice when it's roasted. 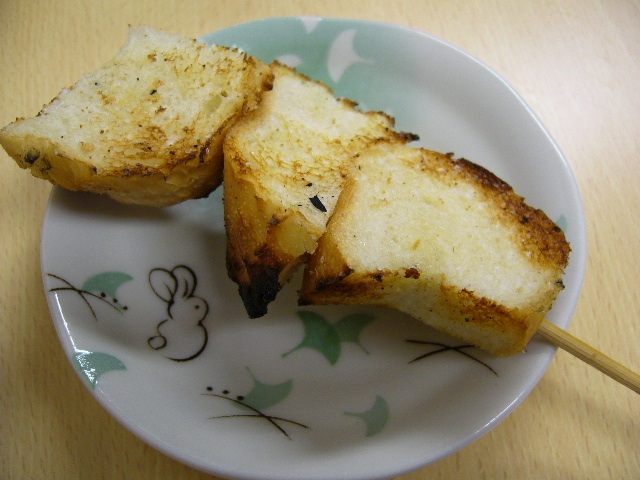 France Pan is skewered French bread with crazy salt. For the crispy crust and springy texture. 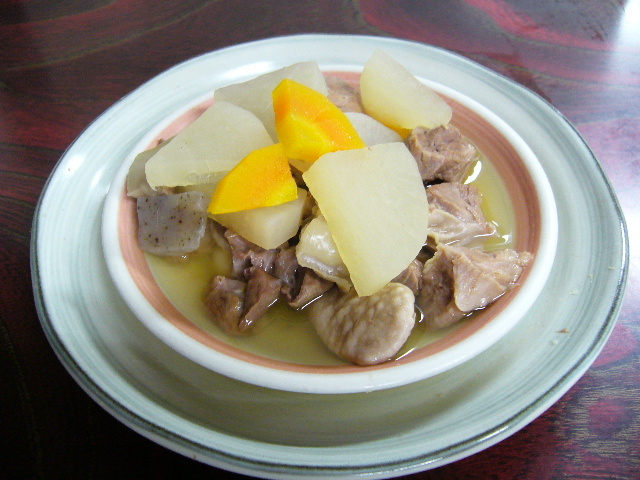 Usually Nikomi, pork intestine stew, is flavored with miso in Japan. 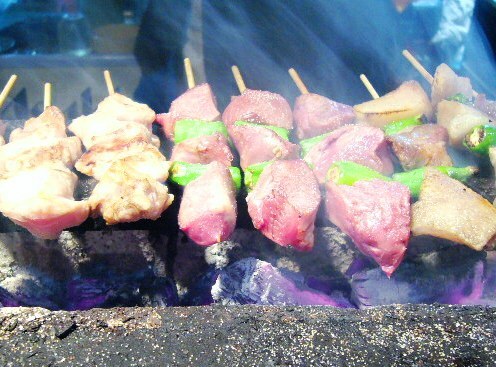 We flavored it with salt because our pork is very fresh. 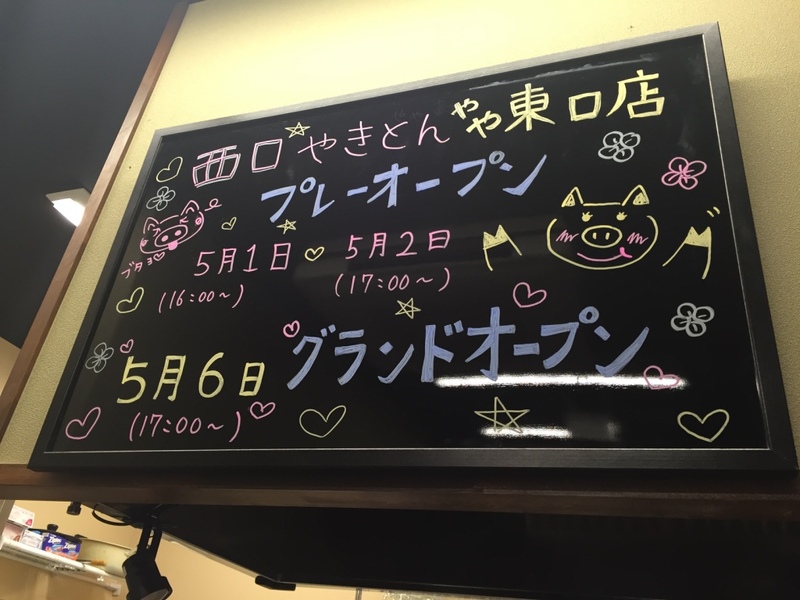 Enjoy the collaboration between pork and vegetables. until it becomes very tender. 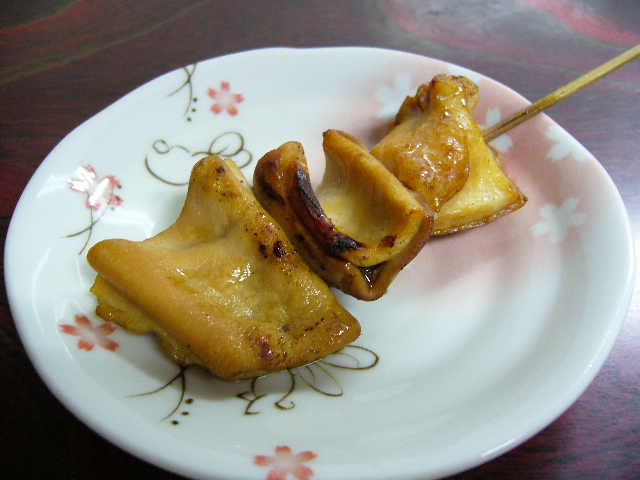 Then we marinated it with Teriyaki Sweet Sauce. It's so tender you can actually chew on the bones! We have much more food! 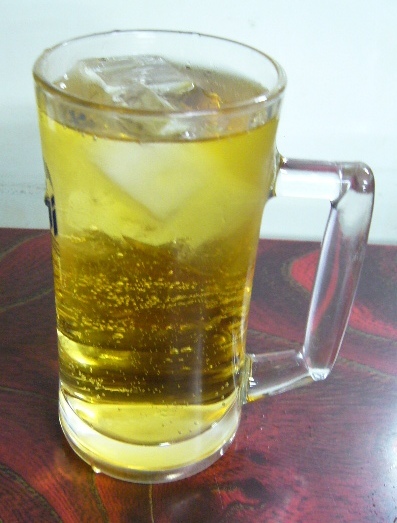 Taste is so refreshing and smooth. But it is very strong too. So it saves your money too. 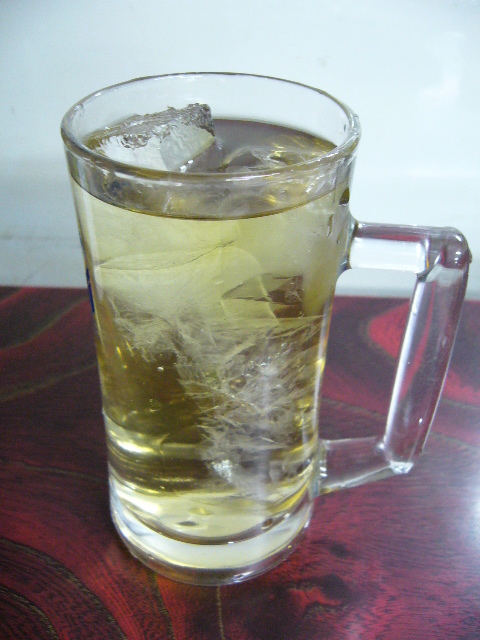 Our recommendation for the second drink. 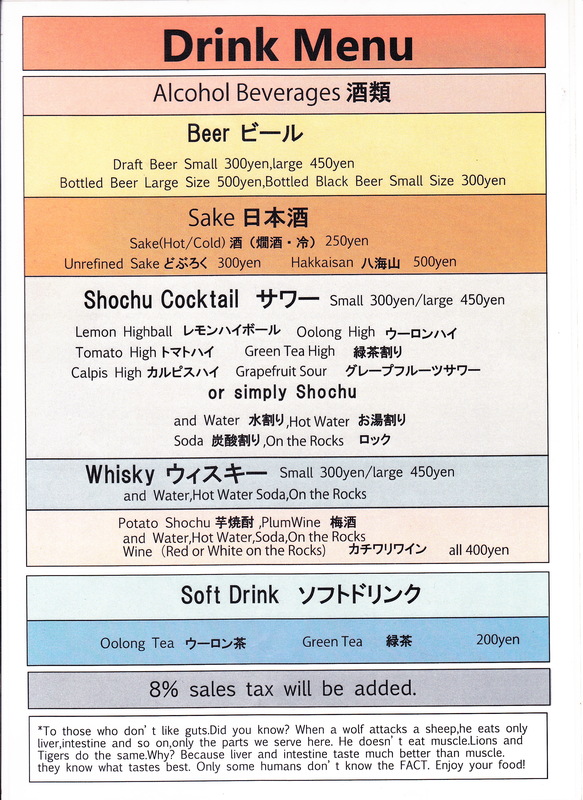 So people used to drink Shochu and Hoice instead. 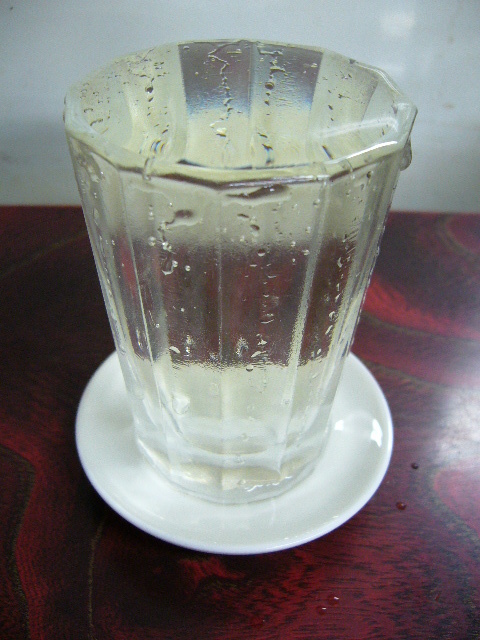 Kucha is Chinese bitter tea. 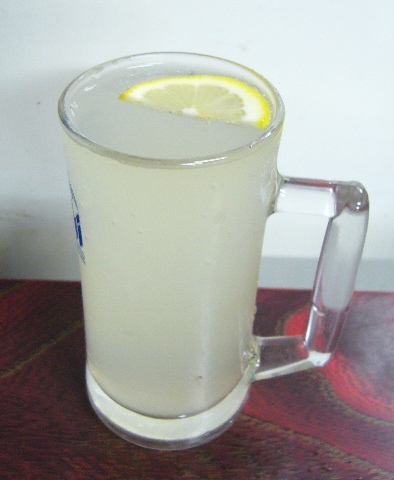 For the first timer we recommend to dink it with lemon. But as you get used to the bitterness. You will notice it starts to taste sweet. And you will be hooked to it! It's good for your health too. Specially it will lower your blood sugar level. You will have less hung over too. 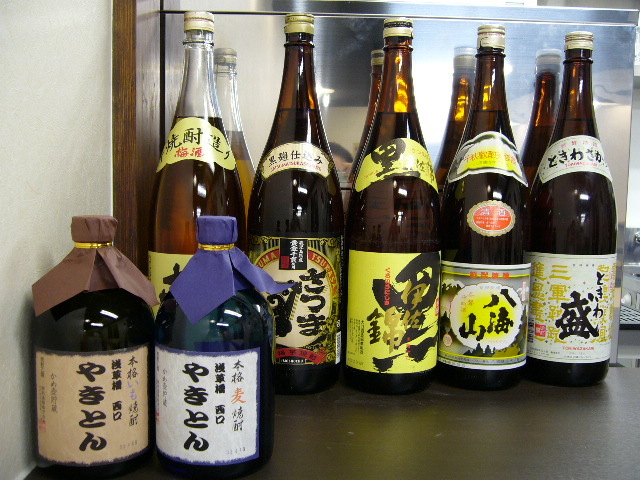 That is the sake our owner was looking for before he opens our place. And he found one in Mito prefecture, north east of Tokyo. 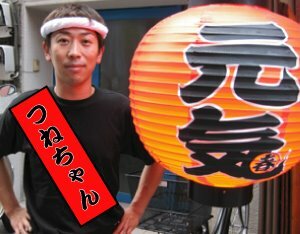 The brand name is Tokiwasakari. Great for both cold or hot. How good it is with Yakiton! has successfully opened on December 13, 2017. 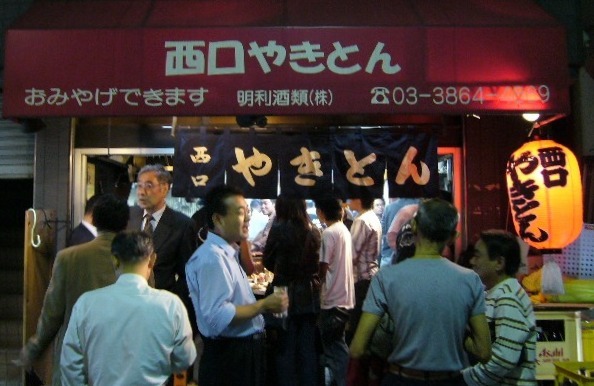 Okachimachi is right next to Ameyoko, a famous district for shopping and bars. Our new legend starts from here. 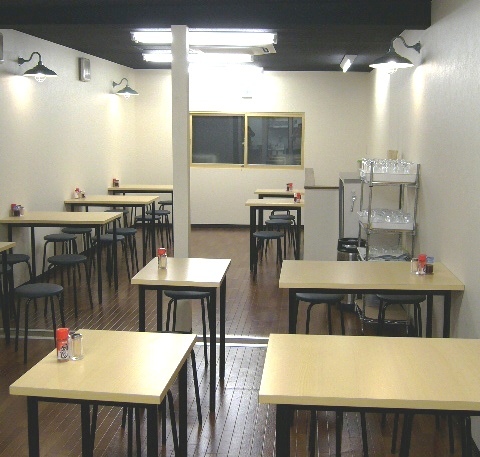 We open everyday from 12 noon to 11 PM. 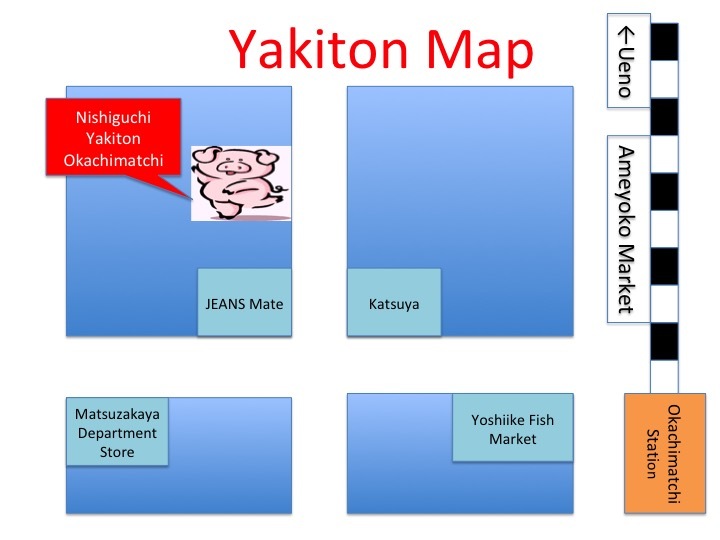 It located right in the between east and west exit of JR Asakusabashi. You can find it from both east and west exit. Just make sure to walk the south side of JR line. 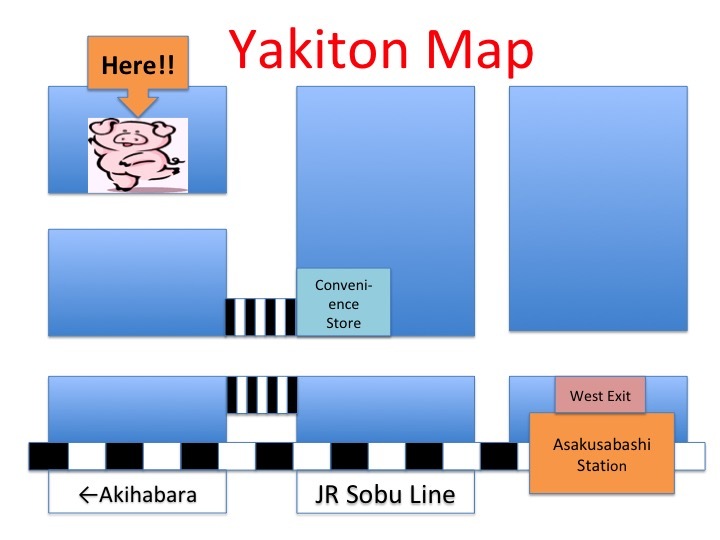 Only 3 minitues walk from JR Akihabara Shouwadori Exit. We support your Christmas Party, New Year's Party or any parties. Please ask for our resonable party plan. According to your party plan. The wife of our owner's massage place. 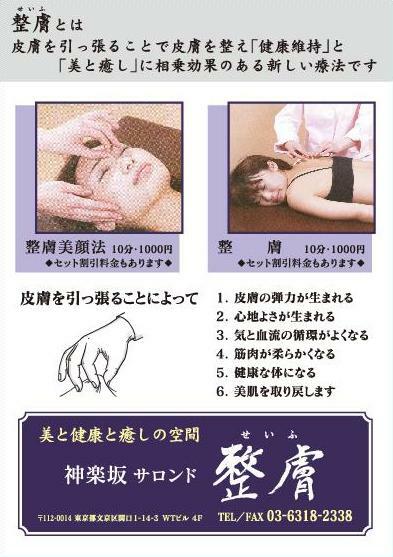 You can tune up your body with Seifu Massage.